The packaging for this was quite good because you get a plastic lid with a spoon as well as a fork. 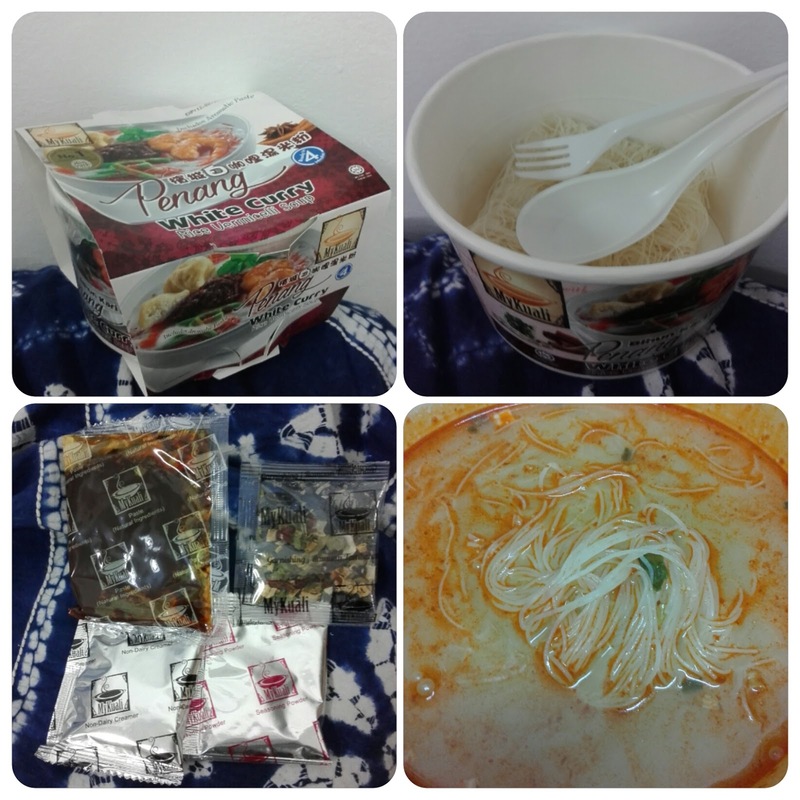 There are four sachets of condiments: dried spring onions and chili, Curry paste, non-dairy creamer and soup base. Before adding the paste, I tried a bit and it was extremely hot so I only added a quarter and the spiciness was just right for me. If you add all of the paste, the soup would be quite spicy and sweet because it had a very bold sweetness to it but I loved the strong prawn flavour. 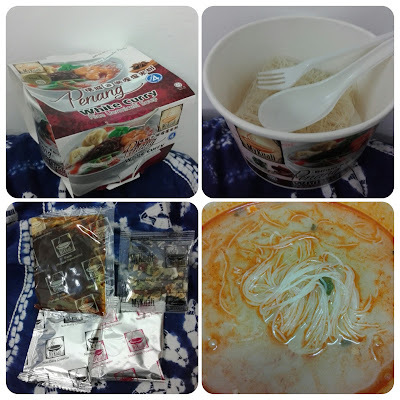 Definitely worth trying if you like really spicy noodles with a strong prawn flavour.